Attorney Matt Andrew told his client the insurance offer for her injury would not meet her needs. 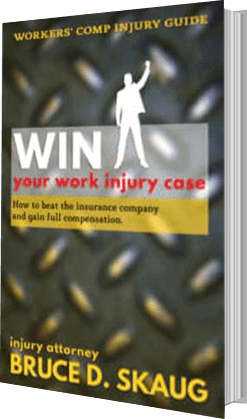 He took the insurance company to court and his client won three times more than their offer. What’s really going on at the insurance company? Insurance companies, even your own, are in business to make money for their shareholders. Insurance companies lose money when they are forced to pay for claims. They use a number of tactics to minimize or keep from paying any claims. 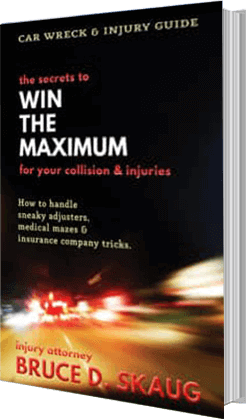 Insurance adjusters often undervalue vehicle damage claims. What your insurance company doesn’t want you to know. We often hear from people about how the insurance adjuster, who seemed like such a nice person before, suddenly turned and demanded they take or leave their lowball offer. Be careful that insurance company tactics don’t keep you from the medical treatment you need or the compensation you deserve. Do not give ANY recorded statements to an insurance representative or anyone else until you have had a free conversation with an attorney and know your rights. 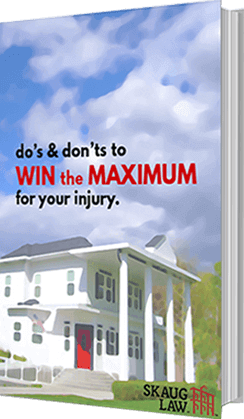 Win the maximum for your injury at Skaug Law.